The WSRE Public Square Speakers series will present Carlson Delogne, along with film director Anthony Istrico and Gold Star son Ron Reyes, on Friday, Sept. 29, at 7 p.m. in the Jean & Paul Amos Performance Studio at Pensacola State College. They will discuss their recent experiences in Vietnam and show a screening of the film. The 2 Sides Project was created by Carlson Delogne in March 2015 to connect sons and daughters who lost fathers on opposite sides of the Vietnam War. The documentary of the same name follows the unforgettable journey of six Americans as they discovered a country and a people with a shared history and common grief. In Vietnam, they met more than 20 Vietnamese sons and daughters whose fathers also died in the war. Directed by Istrico, the film captures these powerful encounters along with emotional visits to the sites where the Americans’ fathers died some 50 years ago. Through the 2 Sides Project, Reyes met Luu Thi Kim Hien in Hanoi at the very first meeting of sons and daughters from both sides in Vietnam, and they discovered they had children the same age. He also met Phu Nguyen, whose father was a guerrilla fighter and fought in Cam Lo, in the same place where Reyes’ father fought. 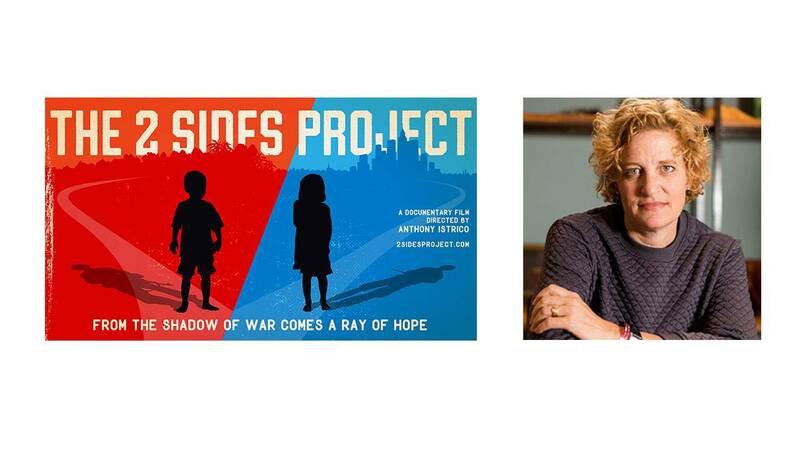 Carlson Delogne’s goal for the 2 Sides Project is to connect more people similarly affected by the Vietnam War, and eventually by more recent wars. According to the organization’s website, an estimated 20,000 Americans and 70,000 Vietnamese lost their fathers in the Vietnam War. The Sept. 29 Public Square Speakers Series event is being held in conjunction with PBS’ release of “The Vietnam War”—a 10-part documentary series by Ken Burns and Lynn Novick. WSRE is also hosting a preview screening of “The Vietnam War” on Thursday, Sept. 7, and the series will premiere on WSRE and PBS stations nationwide Sept. 17–21 and Sept. 24–28. “The 2 Sides Project” documentary, awarded the GI Film Festival Founders’ Choice Award in May, is currently being formatted for TV broadcast and will soon be scheduled to air on PBS member stations, including WSRE. Admission to all WSRE Public Square Speakers Series events is free. Register online at wsre.org/speakers.